Today only get a one year subscription to Runner's World for ONLY $6.95 with promo code CITYMOMMY at checkout! Get up to 4 years at this low price. 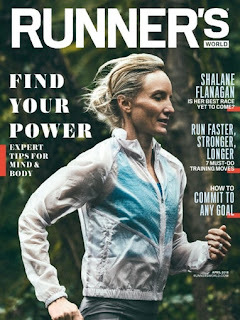 RUNNER'S WORLD is filled with powerful information that will help you run faster and farther?and have more fun doing it! Every issue brings you the strategies, tips and advice to fuel your performance, prevent injuries, burn fat, shed stress, and achieve your personal goals.